Free up some room and design your living space with the Sonax Wall Mount Collection. The PM-2200 is an affordable Wall Mount that accommodates most flat panel TVs from 28" to 50". Tilt option with two different positions 0 or 5 to find the perfect angle to enjoy your space. The heavy gauge metal construction supports up to 132 lbs. Bring home this Wall Mount and consider complimenting it with contemporary furniture by Sonax. 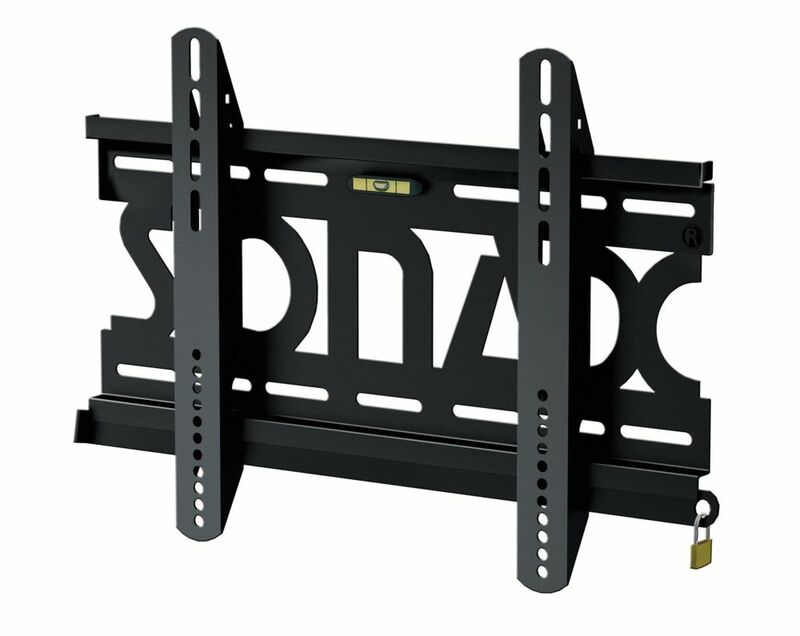 This sturdy steel frame can hold up to 121 lbs and will fit any flat panel TV between 32"-65". Mount Your TV with ease using the built in level to optimize your viewing experience. CJ Tech's low profile mount fits tight to your wall and spans 2 studs for an excellent footing so you know your TV is securely fastened. Fits most flat panel TV's from 32" - 65" and holds up to 132 lbs. Tilt your TV up to 30 degrees to eliminate any pesky glare from windows and lights. The built in level allows you to mount your TV with ease and precision. This CJ Tech mount spans 2 studs for an excellent footing so you know your TV is securely fastened. This CorLiving Full-Motion Tilt and Swivel Wall Mount is ideal for most flat and curved TVs 32 inch-70 inch weighing up to 60kg/132lbs. Five direction tilt ensures optimum viewing angles. VESA compliant, adjustable design extends from 69mm on the wall up to 615mm, has intricate horizontal TV level +3:~-3:, swivels 90: left and right and tilts up and down +5:~-15:. Built with a solid powder-coated steel frame, this TV mount is built to suit any occasion or entertainment room set up. PM-2200 TV Wall Mount for 28" - 50" TVs Free up some room and design your living space with the Sonax Wall Mount Collection. The PM-2200 is an affordable Wall Mount that accommodates most flat panel TVs from 28" to 50". Tilt option with two different positions 0 or 5 to find the perfect angle to enjoy your space. The heavy gauge metal construction supports up to 132 lbs. Bring home this Wall Mount and consider complimenting it with contemporary furniture by Sonax.